Boomers and rock music are synonyms. We trace our lives with music. Some of our songs are hard-edged and confrontational. Some are soft and poetic. Yesterday, one of our softest poets died. 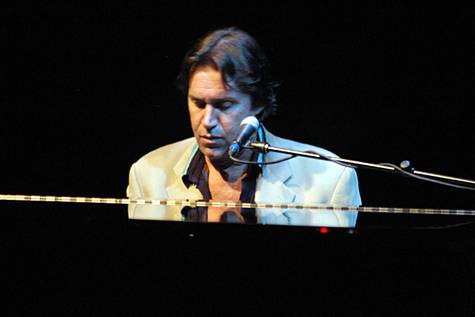 Dan Fogelberg passed away at 56 following a three-year battle with advanced prostate cancer. Dan created part of the sound track of my life beginning in 1972. When I was grieving the departure of a girlfriend in college, Dan brought me closure with "Be on Your Way." When I was discovering new love with my future wife, Dan sang "To the Morning" in the background. When I realized the follies of my youth and looked ahead to the responsibilities of adulthood, he gave me perspective with "There's A Place in the World for a Gambler." When the urge came to own a piece of Colorado mountain property, Dan offered his sage counsel with "Long Way Home (Live in the Country)." When my father passed away, Dan further elevated my appreciation and gratitude for Dad's life with "Leader of the Band." I finally hugged my father before he left. I finally found peace after lost love. I finally claimed a purple mountain for my soul — all this because of your musical journey, always more than lyrics and melodies. I finally discovered gratitude and grace. Your music is timeless; your heart, boundless. If you should dispair, remember it's part of the plan, then set it free. Here's the hope you've given us ... back at you. Let it shine, brother. My great good fortune was to have seen Dan perform live shortly before his fatal diagnosis. The stage did not have set embellishments we associate with big musical acts: just a bar stool, a majestic grand piano and overhead spotlights. The Paramount Theater on Colfax provided a simple, rustic, honest context that is Dan's overriding message. His perfectly tuned passion and joy came through every soulful song. We left the theater feeling better about our lives, having witnessed in two hours a pure distillation, exoneration and exaltation of mortal existence. As the Boomer generation ages, we will continue to lose great musicians and poets like Dan, and these moments will cause survivors to pause and ponder their gifts. We could not have been fully Boomers without them. Hi Brent - This is a very belated posting to your blog in followup to Dan Folgelberg. I am "publishing" an email exchange I had with you. I just came across your great blog this morning when I did a Google search on "marketing & music & baby boomers." I was intrigued when your blog with Dan Fogelberg in the title was at the top of the google search - I checked it out and was blown away by what you wrote - I am a huge Dan Fogelberg fan - have seen him perform (only) four times over the years - actually once met him (and Tim Weisberg) after a show at Greek Theater in Berkeley in 1977 - a friend's friend was working on the road crew on his tour..... 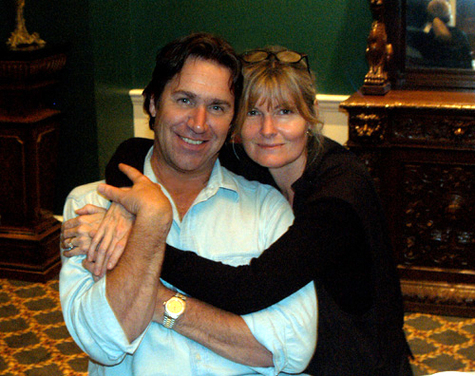 I think that Dan Fogelberg has had more of an "emotional" heart-connecting impact on me than any other artist (though my favorite artists of all time, besides of course the Beatles, are the Moody Blues). I was rather disappointed by how unresponsive the general press has been to his passing - not giving him enough credit for the depth and quality of his work. In fact I have been surprised how little respect in general that he has received over the last 10-15 years - never heard on 'classic rock' stations - sort of relegated to the 'lite rock' middle of the road "sentimental, schmaltzy" category while more "hip" rap and hip hop garbage assaults our ears and our musical intelligence. How pop music has devolved ... kids today have no sense of music history - so sad and pathetic.... I do see some signs that things are changing - you hear more melody in songs these days.... anyway, that's another subject. Coincidentally, yesterday, way before encountering your blog, as I was walking my two dogs by the beach, I decided to dial in the Innocent Age album on my iPod - since I hadn't listened to any of Dan Fogelberg's stuff in a while. The title song "The Innocent Age" with the Buffalo Springfield sonic references and it's idyllic references to the 60's, really got to me for some reason. Tears were in my eyes under my sun glasses. Like I said, no other artist "gets to me" like Dan Fogelberg. And like you, I too contributed a couple of times to Fogelberg's "livinglegacy" web site to encourage his recuperation and to at the same time express my profound gratitude for his music. Wow! It has been a long time since I have heard somebody talk about something with such passion. I didn't quite understand everything but the passion flows throughout the end; it is amazing to see someone be so in depth about something. I can feel it. So Sorry to hear about Dan Fogelberg I knew one of his keybord players Paul Harris and I was told he was a wonderful creative guy to work with .